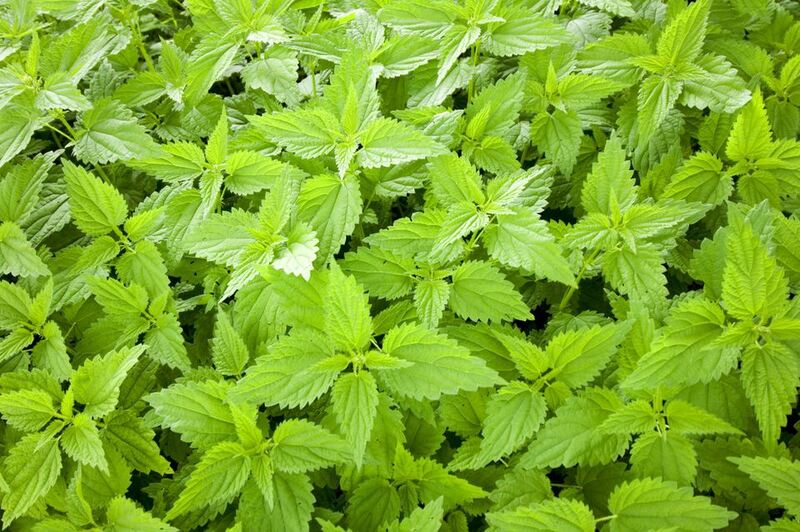 Nettles are a tonic herb that is easily found in disturbed areas, such as abandoned farmsteads and country roads. It makes an unusual but important addition to your herb garden. Nettles are also an early spring herb, making them one of the first fresh herbs to eat of the year. Nettles are usually a wildcrafted herb, but don't let that stop you. Once you see how useful they are, you will want to plant them in your own garden. Plant them in a location where they will be free to reseed themselves, and you will have a lifetime of this nutritive herb. Buy your nettle seeds online or harvest your own seeds in the late summer and fall. Full sun to shade, as long as there is sufficient moisture, nettle can grow virtually anywhere. Cut the aerial parts anytime, as long as the herb is young. I always recommend that your nettles be harvested in spring and do so every 3 days until you notice that the plant stem matures and it is harder to remove the leaves with just a light pinch. The best part of the nettle plants are the tops, so harvest them for eating right away and the side leaves can be dried for later in the year. Wearing gloves is recommended when harvesting nettle, as the tiny hairs produce a temporary but irritating sting if brushed against. Dried or cooked nettles do not have this effect. Companion plant nettle with fennel for an improved flavor of both herbs. Nettles are one of the most important herbs to get to know. They fall under the tonic herbs heading. This means that they are very nourishing and offer a gentle, nutritional boost to your diet. Nettle is often overlooked because of the irritating effect that it has on bare skin. Some people actually use this irritating effect to their benefit and rub nettles onto arthritic joints. The warmth that lasts after the stinging subsides is said to temporarily relieve pain. Nettles are used as a blood purifier. they are high in iron and potassium. The dried leaves, powdered, make an effective blood stopping wound powder. The juice is applied to the scalp as a hair growth stimulator. One of the best ways to use nettles is to add them to soups and stews, where they impart a rich, earthy taste. If your recipe includes beef, nettles are the perfect companion. Nettle is also a great addition to your herb tea mixes. Add the leaves to any tea blends that need a little more body. For a stronger herbal tonic, try a nettle infusion, steeped overnight. For an easy and organic fertilizer, steep handfuls of nettles in water. Place them in the sun, covered, and they are ready when they are stinky. It takes a few weeks for the nettles to ferment, but the fertilizer is rich in iron, nitrogen and trace minerals. Your garden plants will love it! With a little patience and care, you can add a tasty herbal ally to your herb gardens.